BOONE COUNTY - One man was arrested Friday night following a car chase on U.S. 63. 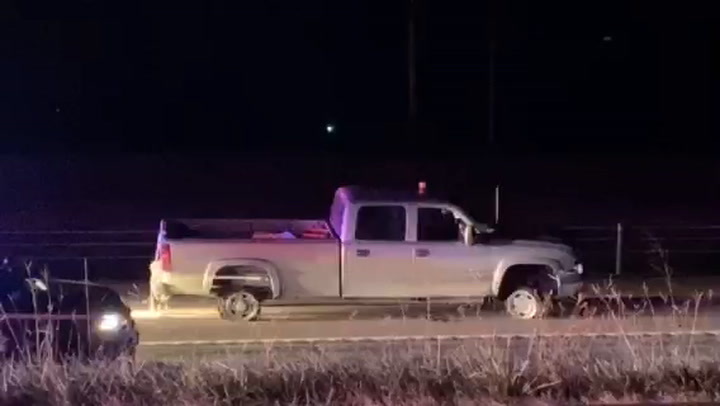 A trooper tried to pull over a truck on U.S. 63 around 11:20 p.m. Friday because it was pulling a trailer without lights, said Sgt. Scott White of the Missouri State Highway Patrol. The truck took off south on Highway 63 from 763. The driver pulled to the shoulder twice before continuing on. The trailer came loose near the Broadway exit, but the truck kept going, White said. A trooper deployed spike strips near the Stadium Boulevard exit, and the truck ran over them, White said. The chase continued south at slow speeds until ending on Highway 63 near Meadow Lark Lane. A KOMU 8 reporter saw members of the Missouri State Highway Patrol, the Columbia Police Department and the Boone County Sheriff's Department on scene. A wrecker towed the truck away after law enforcement searched it. Authorities cleared the scene shortly after 1 a.m. According to the MSHP crash report, 37-year-old Douglas Buffer, of Imperial, was arrested on charges from several felony warrants, as well as possession of a controlled substance and resisting arrest.